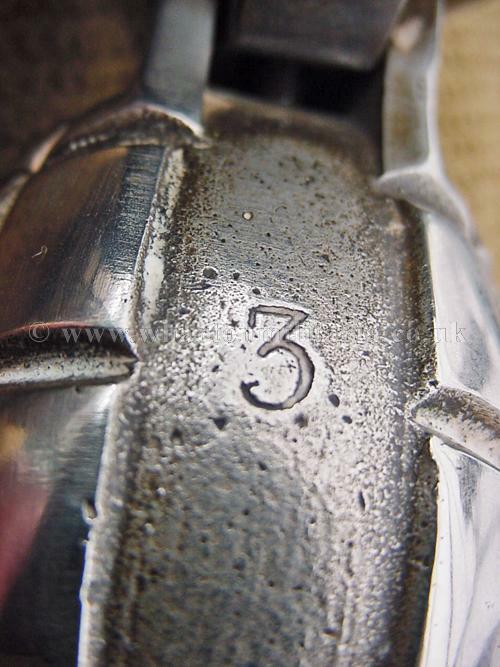 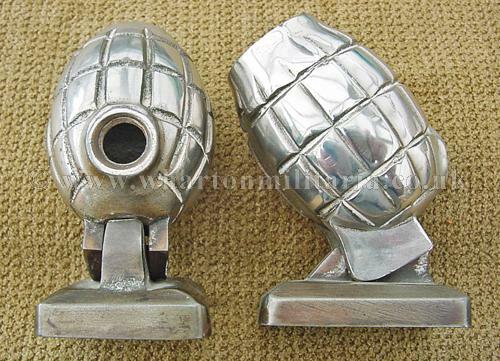 WW1 nickel plated Mills grenade casings in excellent condition. 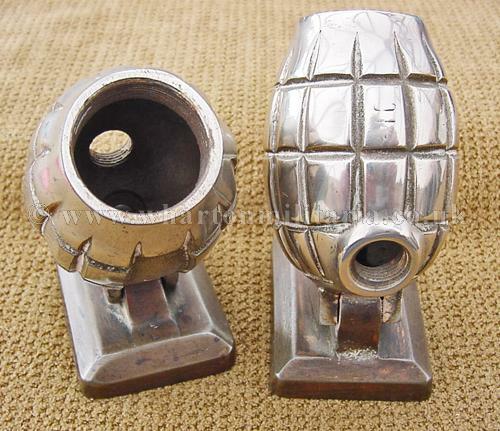 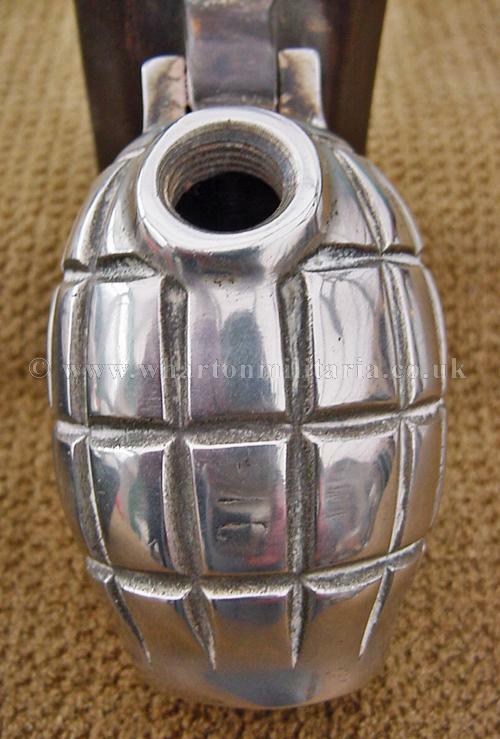 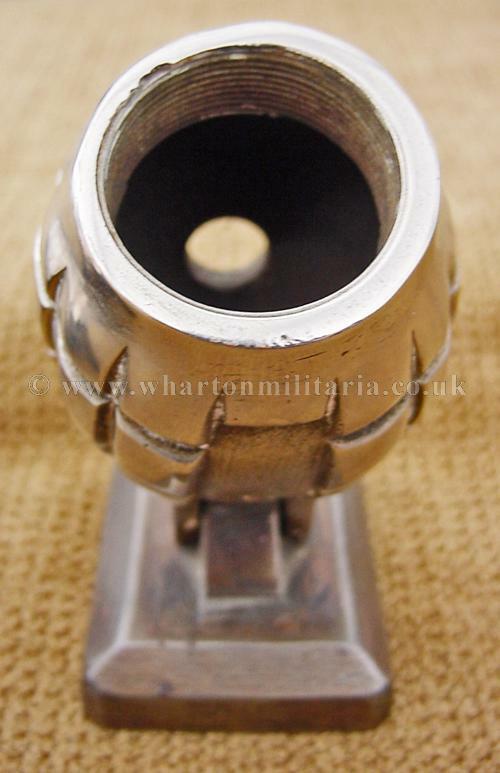 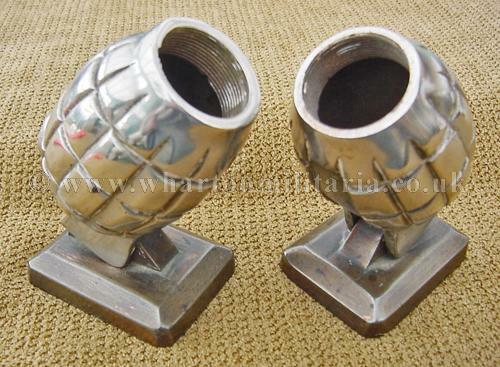 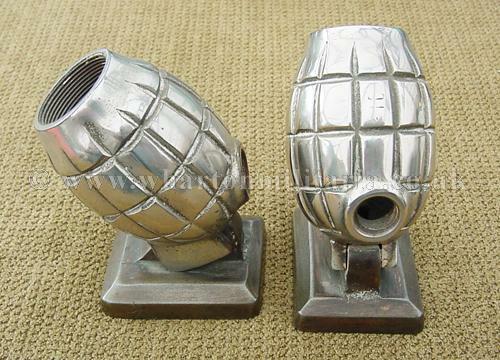 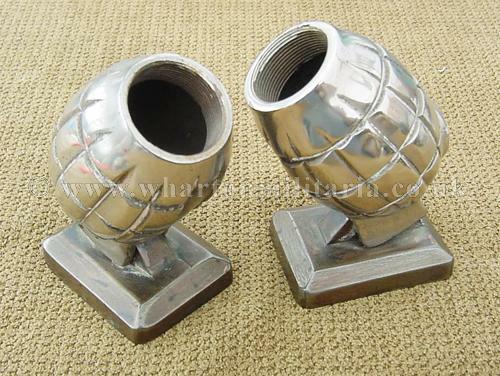 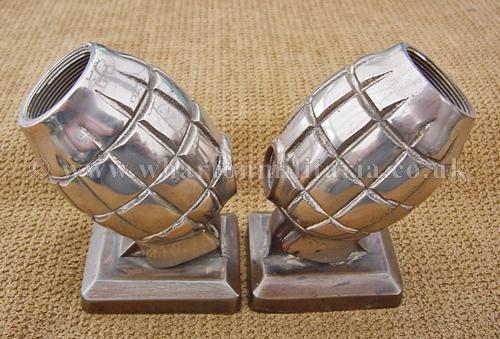 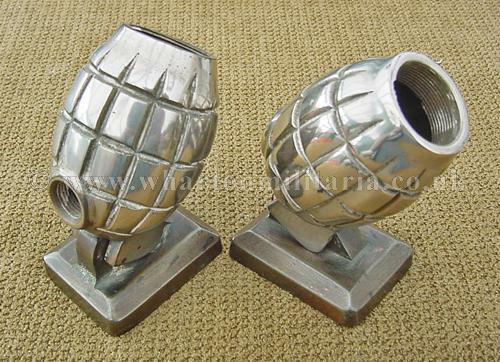 Original Mills grenade casings which have been factory nickel plated for presentation and mounted on to heavy stands. 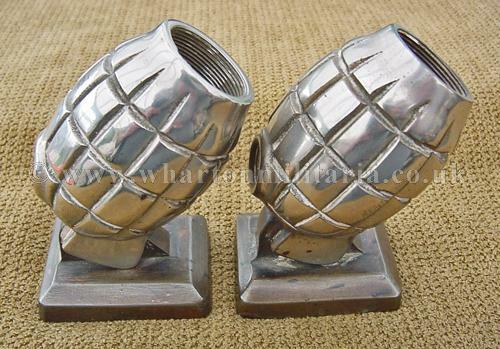 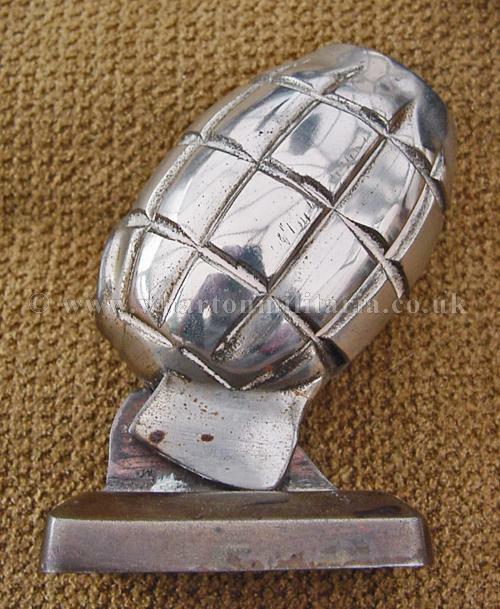 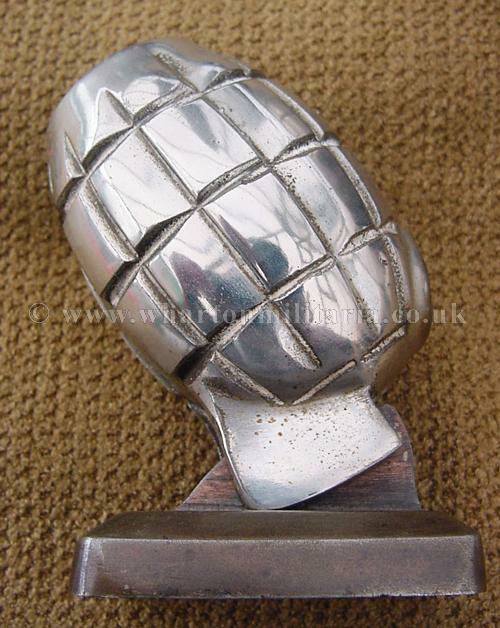 Grenade casings retain the full nickel finish and look impressive, not sure if they were used as they are or perhaps as bookends etc. 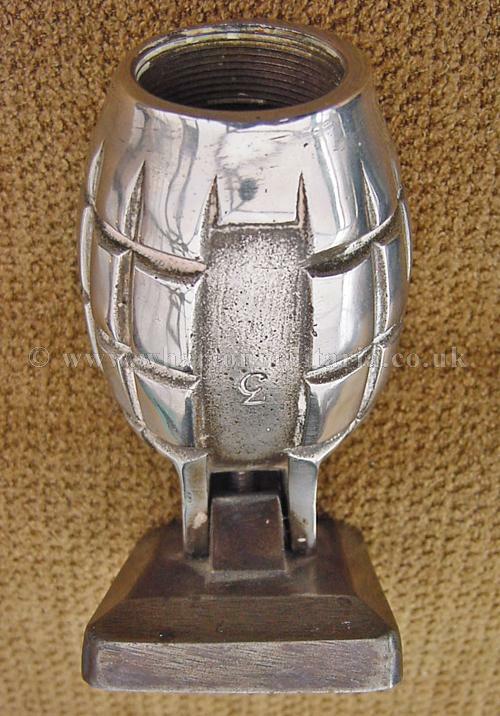 Something different and not seen before.